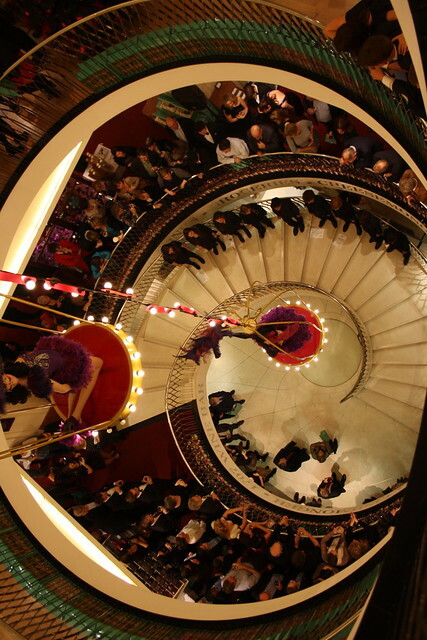 Is it possible to fit eight hula hoopers, with 50 hoops each, in one of the world’s oldest, poshest department stores? Hell yeah! 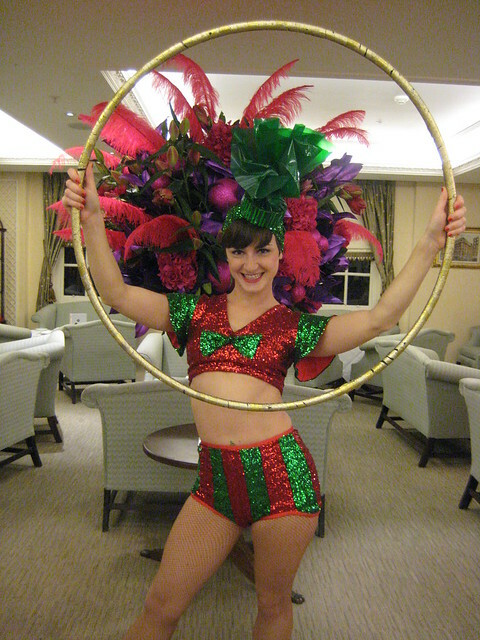 In the run – up to Christmas 2010, I had the opportunity to work with some of the best hoopers in London (including Craig Reid, Jessie Rose and Tiina Tuomisto), performing as part of the ‘Big Give’ fundraising event at Fortnum and Mason, London. Our performance area was on the ground floor of the shop, where they have the most amazing displays of sweets, chocolates, wine, tea, cakes and biscuits.. Basically, all the delicious things in life. With the direction of Marawa the Amazing, we created a bespoke piece, specifically for the event, inspired by all the treats in the shop and taking advantage of the dramatic spiral staircase that they have. 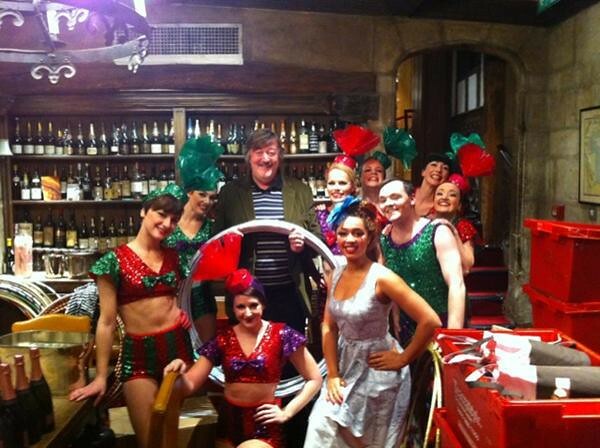 Stephen Fry was the host of the night and we had a chance to hang out with him in the cellar of the shop, in between performances. He was very friendly and liked our hoops a lot! The result was a very sparkly, brighter than bright hula hoop routine, which was pure fun to perform. A big thank you to the Circus Space for making this happen. More fun photos of the night are on my Flickr page.